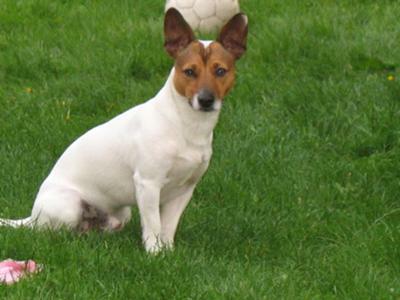 I cannot decide if I should have my 20 month old jack Russell neutered. I have read loads of info on the internet for and against the procedure. I don't know what to believe, some say I should and some say I should not put him through it. Rocky is great with people and children, he is very affectionate, the only problem I have with him is he wants to fight other male dogs. This is the only reason I was thinking about having him neutered, some say it will help and others say it will not. I have him booked in for next week, but I keep thinking I should cancel, I am worried sick about him having it done and being in pain. Above all, I am very worried in case anything goes wrong, I could not bear that. Another problem I have, is that he shakes a lot, he never used to be as bad as he is now, he gets distressed if I have to leave him for a while, so he will be very distressed being left in a crate at the vet's. I nuetered my jrt at 2yrs old for the same problem and it did not change his behavior. he was not properly socialized with other dogs as much as he should have. My fault. and i know everyone says they dont put on weight, but they do. it wasnt like he became obese or anything, but he did change. I still loved him to death, 16yrs 10 months and 14 days. Don't worry about the surgery, go ahead! Neutering would help much in minimizing fighting and dominaring acts... All of the Jacks I know are neutered, that won't be wrong! On the other hand, birth control is the main issue...! I can't believe you wouldn't neuter your pup. He will be much calmer, less likely to fight and less likely to hump or try to dominate. If you have a decent vet, it will be over in a nano-second and I guarantee you and he will be much better off. Too much frustration for intact male dogs! Jack Russell's heal in a hurry. It was hard to keep mine down after the surgery!